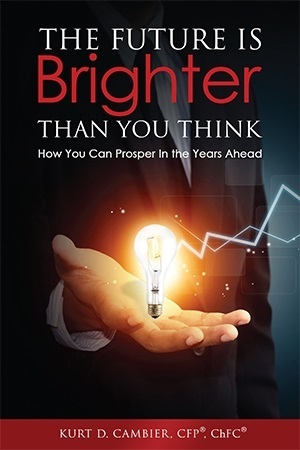 Read "The Future Is Brighter Than You Think"
Too often, matters of finance and planning leave the average investor shaking in his boots, either too paralyzed to move forward or too worried to make wise decisions. In this book, Kurt D. Cambier, CFP®, ChFC, is working to change all that. Cambier combines insights gleaned from 30 years of practice in the financial sector as well as keen readings of market research to show readers that the future is indeed brighter than they think.